Absolutely superb. Biss's essays cover a range of social, cultural, scientific, and historical effects and implications surrounding the decision to immunize. 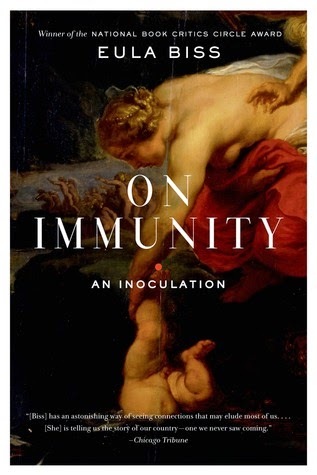 She begins with the struggle she faced as a new mother hearing widely varying ideas of whether or not immunization is healthy and, from there, delves into the history of inoculation, the reasons people have feared the idea of vaccines throughout history and culture, and the current controversies surrounding the topic. Each essay is concisely written and well-thought-out, and you can tell that Biss has conducted thorough research. As ideas about vaccines become more and more polarized, the issue itself has been muddied through various pseudo-scientific claims and celebrity testimonials. Biss doesn't try to give a definitive answer to the question of whether or not to vaccinate, although she is clear about her own personal beliefs. Instead, she explores every facet of the conversation, from literary to scientific to historical to pop culture. It's fascinating and easy to read - I completed it in a day. I highly recommend this to anyone, parent or not, who is interested in the ongoing debate about vaccination and it's implications for community health. I feel like I learned a great deal and was excited by the number of discussions the essays in this book sparked among my friends. I highly recommend getting a copy and checking it out. I have this book and am excited to read it! I feel strongly about my pro-vaccine beliefs but this controversy stresses me out so much. And I don't even have kids lol. Jenny, I think you'll really like it. I don't have kids either and one thing I loved about this book is how she addresses it as a community issue, not just a parenting issue. We're all put at risk when people don't vaccinate their kids and she does a great job of explaining why. I'm on the wait list for this book at the library. And I gave a copy to my niece for Christmas. (We both like this kind of book.) I'm glad to hear it was so good. I can't wait to read it!